Lior City of Bebine, city of stilts and priestesses and storms. As grateful as Sinead was to be back on the sea, she could do without the thousand and one rickety platforms balancing on stilts she had to cross. For foreigners in Lior needed permits to stay, to work, and Sinead needed a job to survive. Unfortunately, to get the permits she had to solve a mystery. A priestess was gone, possibly murdered, and the only suspects were Sinead’s former relatives, the Delbhana. But her new Dana luck ran true to form because investigating one mystery might lead to another crime entirely. 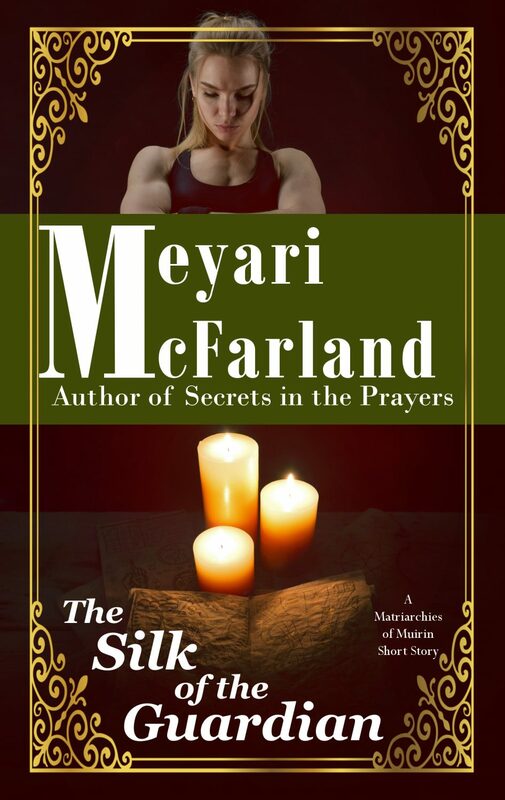 The Silk of the Guardian is sure to appeal to queer mystery fans as well as those who enjoy the Matriarchies of Muirin series’ flipping of gender roles. Don’t miss out!